Nintendo has apparently forged a partnership with shoe maker Vans to create a line of gaming-themed kicks, most of which are inspired from early 8-bit classics. The shoes, which briefly appeared on Euro sneaker store 43 Einhalb before being pulled, were spotted by enthusiast site Sole Collector. The upcoming sneakers feature graphics from popular franchises including Super Mario Bros., Donkey Kong and The Legend of Zelda. There’s even a pair clad with the NES controller. 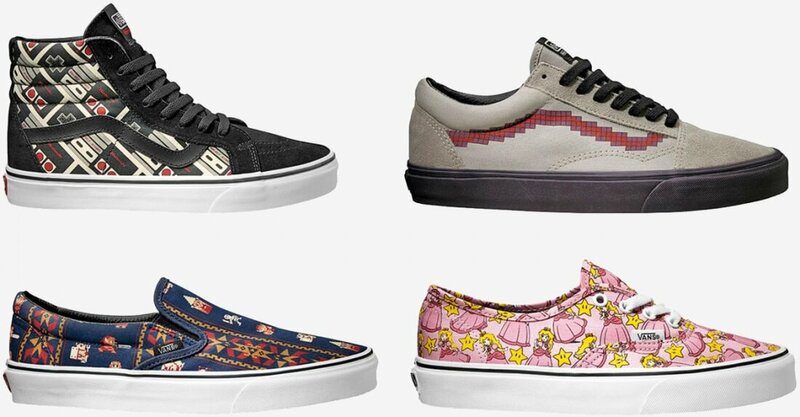 The retro patterns appear to be largely limited to Vans’ Old Skool and SK8-Hi series although Sole Collector said the samples here don’t represent the entirety of the collection. A cached page shows a pair of SK8-Hi with Mario and Luigi priced at around €65 ($75). Vans is no stranger to pop culture collaborations, having previously put out sneakers based on Star Wars and various Disney characters. Heck, there’s even a line dedicated entirely to food (cupcakes, donuts, tacos, fries and more). The Vans Nintendo collection is expected to go on sale in June. No word yet on what regions they’ll be available in but it’s probably a pretty safe bet that you’ll be able to pick up a pair stateside when they do launch. If not, there's always the Internet and eBay.